The Touring LX offers excellent traction and performance year round. Solid performance combined with a smooth ride, low road noise and long tread life makes this tire an great choice. 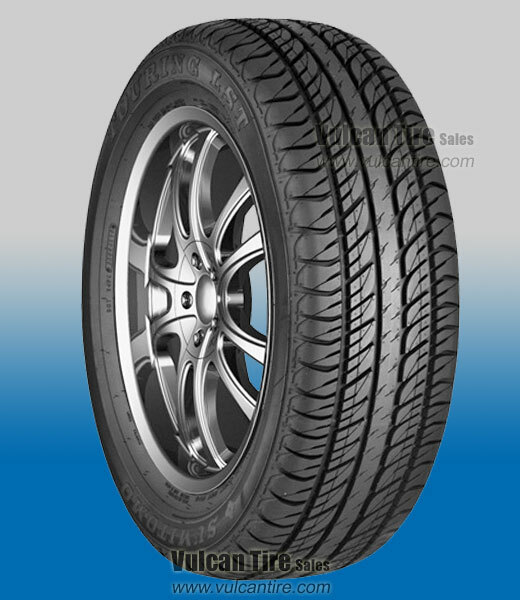 This tire's improved handling quality supports the higher speed ratings of today�s high performance luxury sedans, touring vehicles, SUV�s and crossovers. enhanced all-season performance, wet traction and tread life. provide superior cornering traction and security. allow exceptional water drainage to resist hydroplaning. Limited, Lifetime Warranty - If the tire exhibits a defect in materials or workmanship, it will be replaced free of charge for the usable life of the tread. Tire vibration and out-of-round claims are covered during the first 1/32" of treadwear.